As I reflect on 20 or so years involved in different forms of Christian ministry, one thing that strikes me is the number of pastors and church workers that I know who have experienced broken-ness in some way. I know people who have experienced the broken-ness that comes through serious illness in themselves or in those they love. I know people who have experienced the broken-ness that comes through personal sin. I know people who have experienced the broken-ness that comes through projects, ministries, churches crashing and burning in spite of their most earnest efforts and prayers. My wife and I experienced a broken-ness that came through near financial ruin. Many different stories, many different forms but the common experience of being broken. It is important here not to slide into some kind of heretical view of a merciless God who takes a perverse pleasure in causing His people pain. On Calvary our God showed us the degree of His love for us; that love can never again be called into question. Yet the problem remains, why do those who seem most ready to sacrificially devote themselves to working with Him, often go through the most difficult experiences of broken-ness? The answer must be that this is nothing other than an expression of God’s love. That He allows these painful experiences in order to achieve something deep and significant in our lives. That somehow these experiences can be redeemed, can lead to our ultimate good, can bring good into the world. There is always a mystery in suffering and as Saint Paul said, in this life “We only see in part”. There is not, and will not be, this side of glory, any tidy, conclusive and satisfying explanation. But there are signs, evidences, glimpses that something positive is being achieved by all this pain. We see that broken-ness is often an inoculation against pride and against self-reliance. Both of which are fatal to our involvement in God’s purposes. St Paul talked in such terms about his unspecified “thorn in the flesh”. Some form of suffering which God allowed in his life and gave him to understand served as a shield and a guard against pride; a pride which might have resulted because of the incredible, divine revelations that St Paul had experienced (2 Corinthians 12:7). And yet there is also another dimension to this. In the face of our very obvious broken-ness, anything that we achieve becomes more clearly associated with God’s working in us, rather than as being thought of as merely the result of our own natural talents and powers. The treasure shines all the brighter for being displayed in a jar of clay (2 Corinthians 4:7). And yet, there is still more. 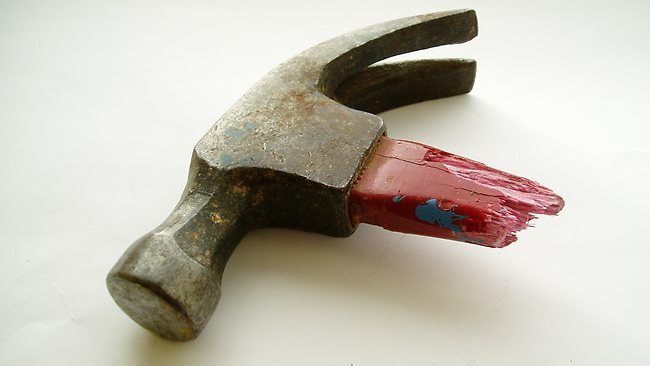 The Great Craftsman is so deft that He not only works with broken tools, but He often fixes them as He goes. Reading the first draft of this article a friend reminded me of the Japanese art of Kintsukuroi . 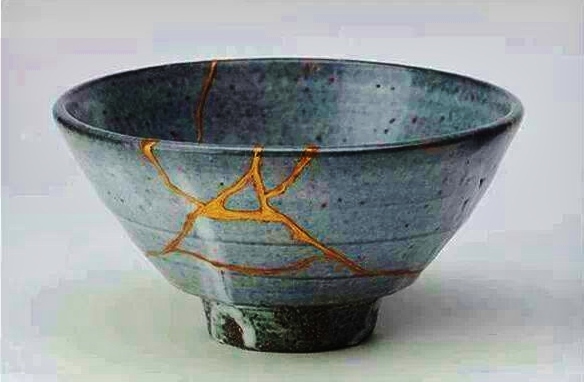 The name means literally “golden repair” and is the Japanese art of fixing broken pottery with lacquer that is dusted or mixed with powdered gold, silver, or platinum. My friend reminded me that not only is God capable of repairing our broken-ness but he has the skill and the power to make us even better than before. His divine repairs can bring a beauty to our lives that surpasses what they were even before they got broken. And that is what excites me about the Christian God!